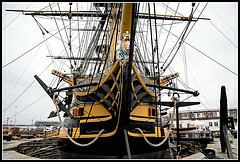 Famous local icon, HMS Victory, best known for her role as Nelson’s flagship at the Battle of Trafalgar was launched 250 years ago today – and is still in commission as flag ship for the First Sea Lord. Another local resident, the Tudor Mary Rose was launched a little more than 500 years ago, but has obvious similarities with the younger ship. 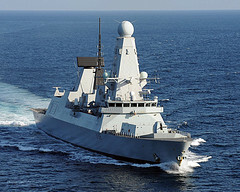 Returning to the present day, the Type 45 destroyer HMS Daring, whose home port also happens to be Portsmouth, shows little resemblance to her ancestors – a clear demonstration how technological change accelerates. 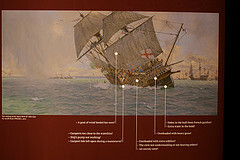 It’s nearly impossible to imagine what a warship (if that concept still exists) 250 years from now would look like.